There are two stages to every great spring clean. The first is de-cluttering, the second is deep cleaning. If you want to make an impact on your mental health, you’ll do more than throw out last year’s poor wardrobe decisions. If you instead go through all of your belongings and try to sort out what truly adds value to your life, and what doesn’t, then you can clear your home and your mind. Minimalism is a lifestyle that can benefit everyone, and it doesn’t mean you need to live a utilitarian life, either. Instead, surround yourself with things that are truly important. If you haven’t used it recently or otherwise don’t care for it, it’s time to remove it from your home! Once you have de-cluttered, it is time for a professional clean. To ensure that your carpets, upholstery, and all other nooks and crannies in your home are sparkling, hire a specialist at mytechnicare.com. Once you have finished your spring clean, you will be amazed at how much your mental health will have improved. Now that your home is clean and orderly, it’s time to add a few creative solutions to help bring more natural light into your home. You can use light colors to help maximize how bright your room is during daylight, place curtains to the side of windows instead of obstructing them, and, of course, be clever with how you use mirrors. A large mirror placed adjacent to a window can reflect light back into the room and can add decorative focus to your room. The more light, the happier you will be! Once you have your home sparkling clean and full of only the things you truly care about, it’s time to build your summer wardrobe! To do this, simply put away your winter attire. You will be able to display your summer clothes more creatively, allowing you to be more free with how you style every outfit. Another way you can improve your self-care regimen for this summer is to go green. This means bringing a tote or other reusable purse or bag with you, opting for healthy, non-processed foods, and by doing a little more to be environmentally conscious. The simple life is notoriously best for happiness, and by going green, you can bring a bit of quiet to your busy lifestyle. 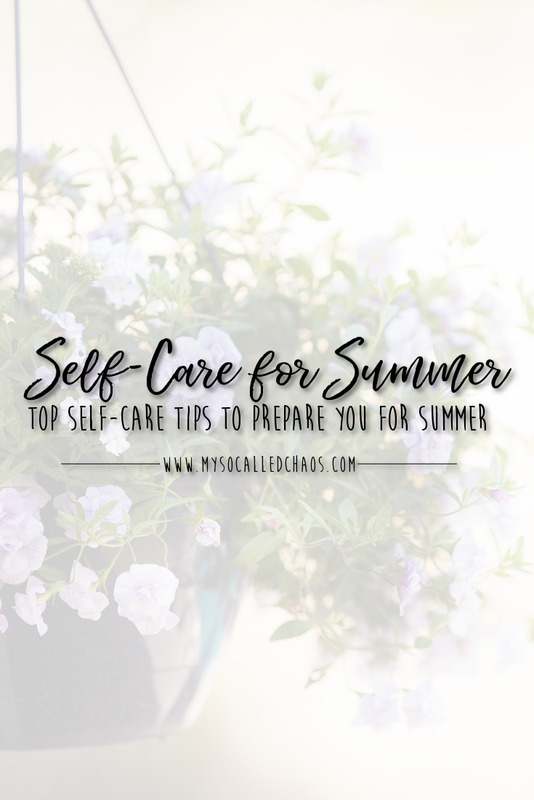 How are you practicing self-care before Summer? Focus on taking care of yourself and your mental health, and prepare for this summer with these top tips and you’ll be sure to enjoy the summer months more than you have before.